Oh look, Kanye said something crazy again. Kanye West wants President Donald Trump to ditch Air Force One and force Apple to build him a really neat concept airplane that he saw a GIF of on the internet. No, this is not a new episode of Keeping Up with the Kardashians. This is what American politics have devolved to. During a visit to the White House today, West shared a bunch of his outlandish ideas with the president — while revealing his totally insecure iPhone passcode in the process. 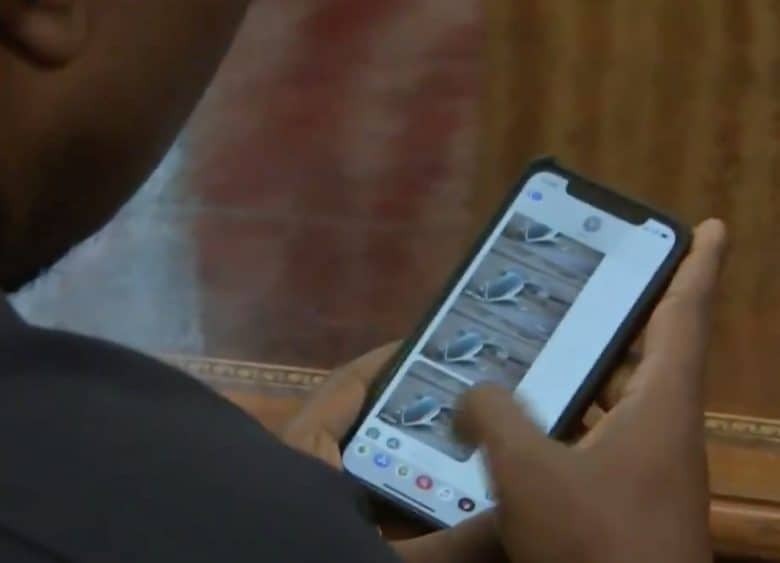 In a video of his visit, West can be seen unlocking his iPhone X or iPhone XS with a passcode of 000000. Why he didn’t use Face ID instead is a mystery, but once he got his iPhone unlocked, the rapper dove headfirst into the iPlane, a hydrogen-powered plane concept he saw online. The iPlane photo West showed Trump is apparently a 2012 concept from an industrial designer. Apple doesn’t manufacture planes (and is currently having a hard enough time getting its self-driving car project on the road). The role of Air Force One is currently being served by converted military versions of the Boeing 747.